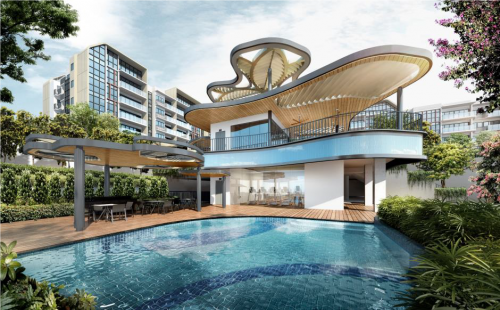 development, real estate investment and property management services, is delighted to concurrently unveil its highly anticipated twin freehold residential developments – The Gazania (formerly Sun Rosier) and The Lilium (formerly How Sun Park). 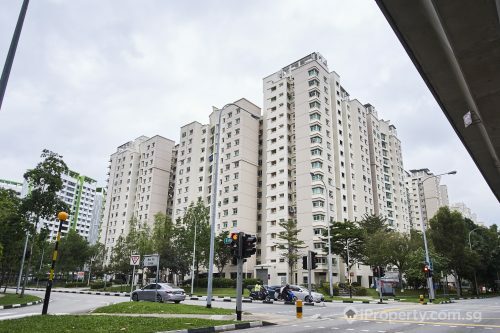 This comes on the back of the highly successful The Vales in Anchorvale Crescent that received the coveted BCA Green Mark GoldPlus award and the BCA “CONQUAS STAR” rating, which has since been fully sold. Mrs Celine Tang, Group Managing Director of SingHaiyi, said: “Drawing inspiration from the bright summer daisy-like flower the ‘Gazania’ that flourishes where the sun shines, and the enchanting night blooming water-lily the ‘Lilium’ that blossoms in the moonlight, the twin freehold developments visually incorporate the floral theme into their architecture and landscape, through warm and cool colour tones, as well as exquisite and thoughtful interior designs. Nestled amid private residential estates in District 19, the two freehold properties are closely located near each other, with The Gazania located at 5-19 How Sun Drive, and The Lilium located at 29-33 How Sun Road. 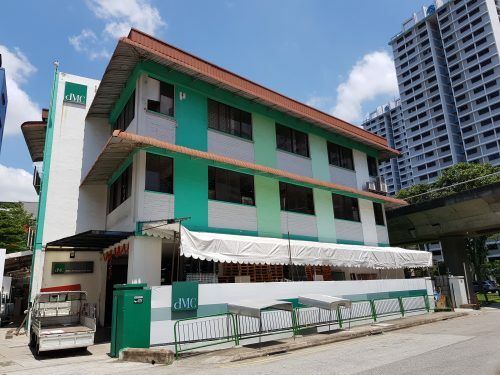 Both developments enjoy high connectivity with easy access to all five MRT lines – the East-West line, North-South Line, North-East Line, Circle Line and Downtown line – from Bartley MRT station, which is located just a few minutes’ walk away. Located at the city fringe, both attractively-priced developments are just a few minutes’ drive to major expressways like the Kallang-Paya Lebar Expressway (KPE). 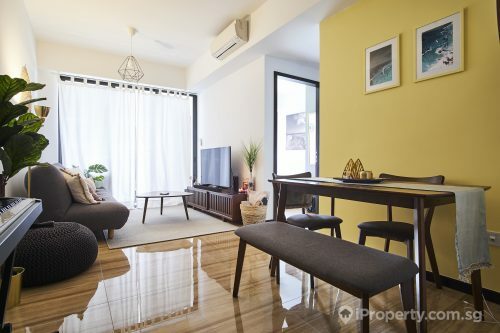 This allows for easy access to the Central Business District (CBD), as well as the City Centre and the Orchard Road shopping belt. Going down Paya Lebar road will bring residents to the Paya Lebar Master Plan Growth Area, which is envisioned to become a major commercial hub with offices, hotels, and retail complexes. The twin developments are located within the vicinity of reputable local and international schools. Surrounded by an ensemble of amenities, including NEX, the largest suburban shopping mall in Singapore, supermarkets, restaurants and the upcoming Bidadari New Town, residents can get to enjoy a myriad of lifestyle and recreational pursuits. 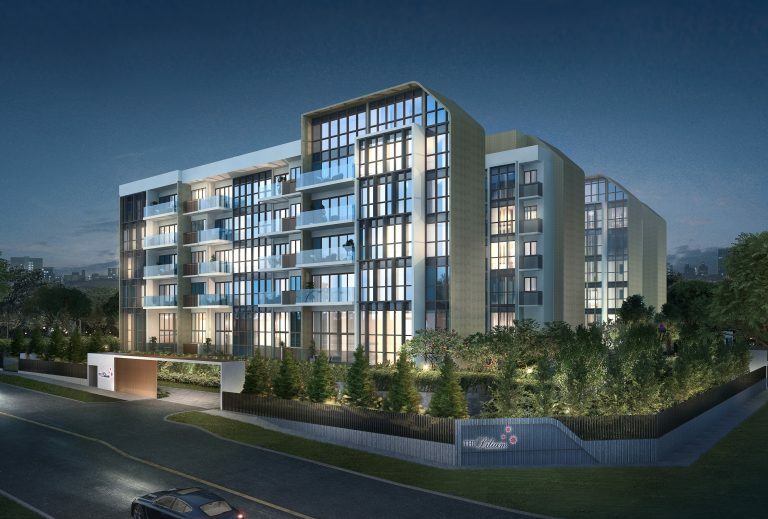 Additionally, with the upcoming 10-hectare Bidadari Park, both developments promise luxurious living at the city fringe while being connected to nature, allowing residents an escape to a tranquil urban oasis that features lush greenery with pedestrian and cycling paths. Named after the “Gazania”, a treasure flower native to Southern Africa with large daisylike flowers in brilliant shades of orange and yellow, The Gazania is a distinguished floral themed residence comprising of seven 5-storey blocks with 250 exclusive units and 257 carpark lots– one of the largest freehold residential sites in the estate. Respecting the inherent uniqueness of the site’s terrain, each residential block is carefully placed along the site perimeter on varied levels, allowing for maximised views while maintaining the privacy for each unit. Taking advantage of the natural site’s terrain, The Gazania features rolling fields of tiered greenery with a vertical water feature, and a specially-created Gazania garden at the bottom of the waterfall, forming its signature landscape element. At the heart of the terracing residence, residents can find the iconic clubhouse with a gym and function room – a focal point in the lush landscape. In addition, the development is equipped with a communal landscape deck, also located at the centre of the development, featuring a 50-metre infinity lap pool and a Gazania-themed kid’s playground. The Lilium, on the other hand, takes inspiration from the water-lily, that exudes serenity and tranquillity, blooming in the moonlight. An exquisite 80-unit floral-themed development with 82 parking lots, that sits within a low-rise housing estate, The Lilium comprises of two 5-storey blocks that feature sleek construction details, providing a welcoming haven of tranquillity and a quiet, restful respite away from busy city life. The development offers a comprehensive range of luxurious communal facilities that offers residents a place for playing, relaxing and living. Various facilities include the clubhouse, a lap pool, a kids’ pool, a Lilium-themed playground and a barbecue pavilion conveniently located on a landscape deck that is raised and set back from the main road level, offering a private sanctum for its residents. Specially equipped with full-height windows that visually extends the interior spaces to the exterior, this dissolves the barrier between the indoor and outdoor, allowing residents to enjoy spacious living spaces. Balconies further extend the living space outwards, offering extended space and view vistas to each resident. As part of The Lilium’s spacious design, ground-floor units feature generous high ceilings while top-floor penthouse apartments feature double volume living spaces with attic floors, expressing luxurious living through simplicity and elegance. Both residential developments each offer a wide selection of unit types, offering homebuyers and investors a myriad of choices that will suit various lifestyles. The Gazania features 1- to 4-bedroom units, with distinctions between the 2-bedroom study, 3-bedroom compact, 3-bedroom premium or 4-bedroom maisonette, as well as luxurious penthouse units. The Lilium offers 2- to 4- bedroom units, with distinctions between the 2-bedroom study and 3-bedroom premium, as well as penthouse units. Homebuyers can have the option of choosing from a palette of warm or cool tone colours for the interior to their liking, exuding elegance and homeliness that would appeal to both end-users and investors alike. The developments are equipped with detailed and tasteful interior fittings to cater to the resident’s sophisticated tastes, with “magic corners” such as a flexi-yard area, mini accessories corner with an in-built mirror and a hidden easily accessible rack design at the kitchen corner, to ensure maximised space. 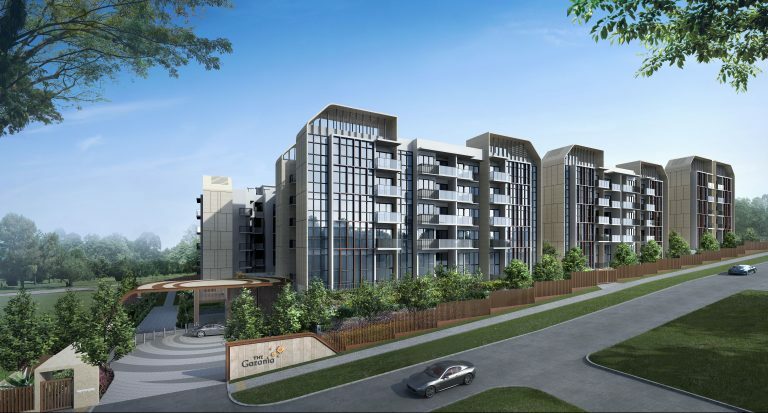 The Gazania and The Lilium show flats will open for preview on April 18, 2019. The operation hours are open from 11am-8pm on weekdays and 10am-8pm on weekends and PHs. This article is contributed by SingHaiYi Group.